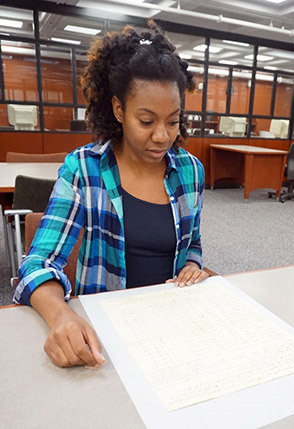 New York, NY, January 31, 2018 – John Jay College of Criminal Justice today announces the first New York Slavery Records Index, a publicly searchable compilation of records that identify individual enslaved persons and their owners, beginning as early as 1525 and ending during the Civil War. The index will help to deepen the understanding of slavery in the State of New York. 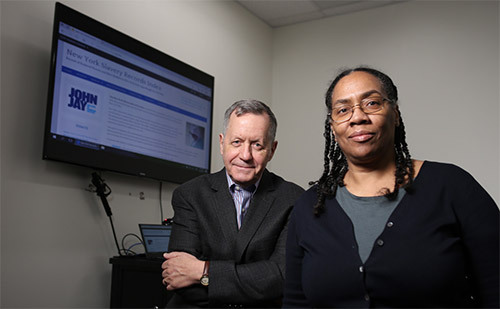 With over 35,000 records, the index was developed and is administered by John Jay professors Ned Benton and Judy-Lynne Peters along with a team of graduate students who are part of the College’s Master of Public Administration Programs. The database can be searched at https://nyslavery.commons.gc.cuny.edu/. Almost 200 “Underground Railroad” fugitives who came to New York after escaping slavery from the South. By bringing together information that until now has been largely disconnected and difficult to access, the database allows for searches that combine records from all indexed sources based on parameters such as the name of an owner, a place name, and date ranges. The index and the accompanying website is free and open to the public. The site includes instructions on how to search the database. In addition, there are essays and articles based on analyses of data from the index.